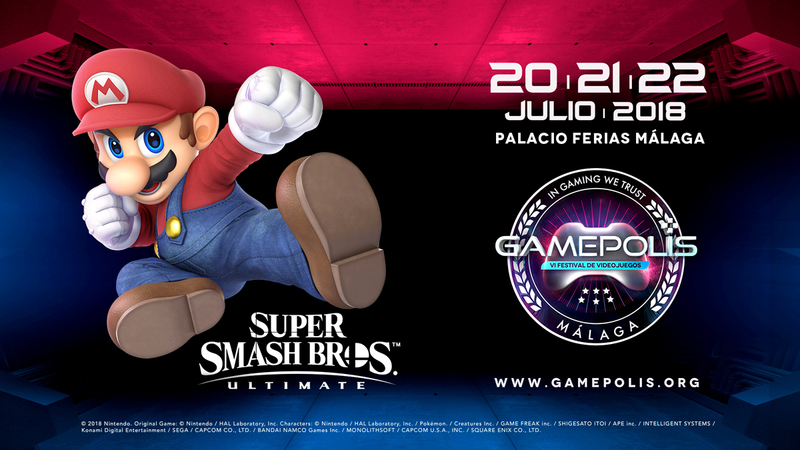 With less than a month to go before Gamepolis, kicks off in Malaga, Spain, after being previously teased, it has now been announced that Super Smash Bros. Ultimate will in fact be at the event and playable. In addition to those games, Splatoon 2’s Octo Expansion will be playable as well and so will Dragon Ball FighterZ, FIFA 19 and Wolfenstein II: The New Colossus for Nintendo Switch. As for the reason why Nintendo will be showing up in strong force, it is because of the popularity of last year’s event, which saw 40,000 visitors, which considering Gamepolis is a small event, is an impressive feat. Gamepolis is said to run from July 20 to July 22 and don’t worry, we will be ensuring there are plenty of photos for you to look at, since we will be attending! It won’t be long now before Mike and Jack, “Settle it in Smash” on Switch!